After World War II, all of Europe was in a bit of a mess. After World War II, all of Europe was in a bit of a mess. Food and raw materials were in short supply and austerity measures were in place in just about every country. 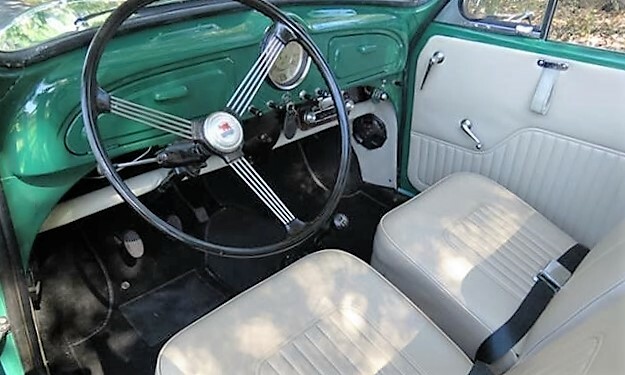 Most people were unable to buy cars like those available before the war, and manufacturers scrambled to develop affordable and economical vehicles for the masses, including the French Citroen 2CV, the Italian Fiat 500 and most successfully, the German Volkswagen beetle. 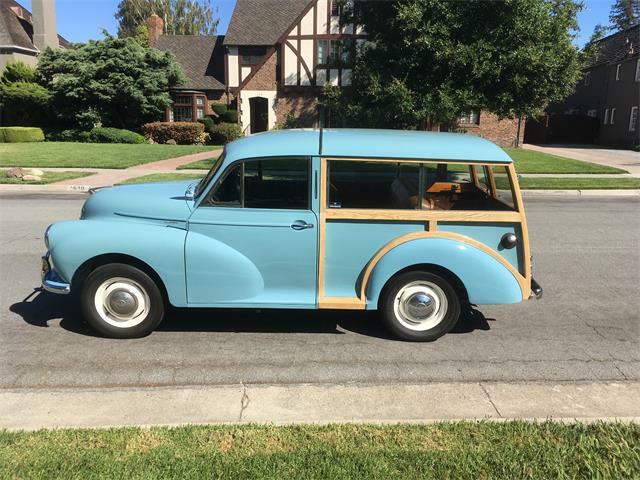 The Pick of the Day represents Great Britain’s economy-car entry with this nicely restored 1958 Morris Minor convertible for sale in Sonoma, California. 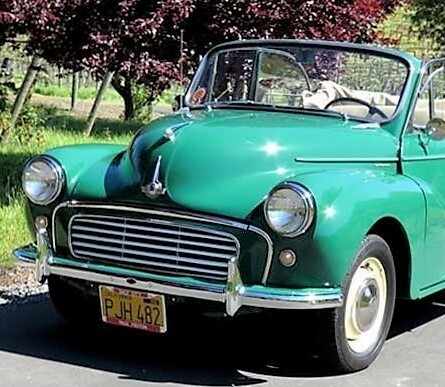 More than 1.3 million Morris Minors were manufactured during its long production run from 1948 to 1972. 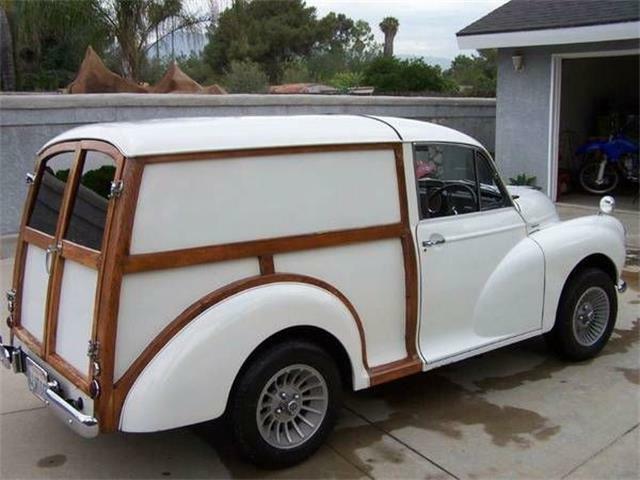 Parts are easily available and the Minor has a club that is active in the United States. 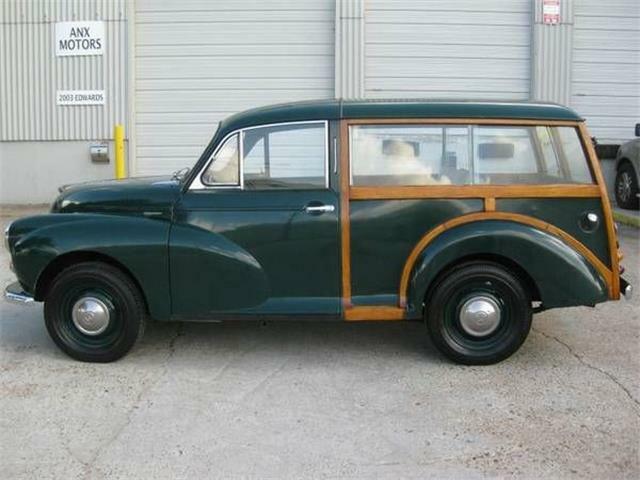 While not fast by any measure, the Minor is considered reliable, easy to service and economical to drive, with room for four occupants. 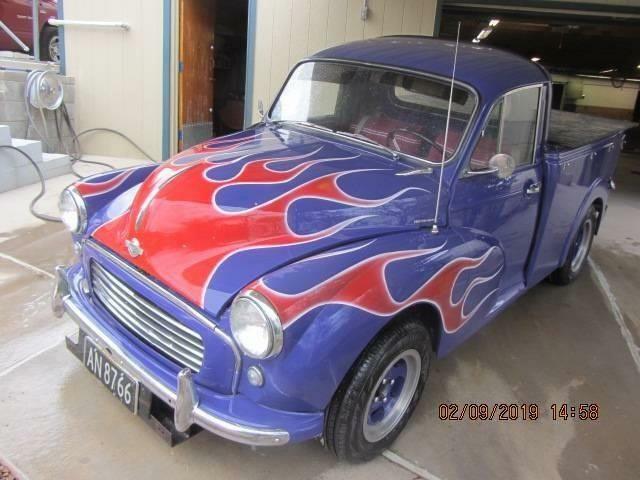 According to the listing on ClassicCars.com, this Minor has been driven only 1,200 miles since a comprehensive restoration with a documented $22,000 invested since the summer of 2010. 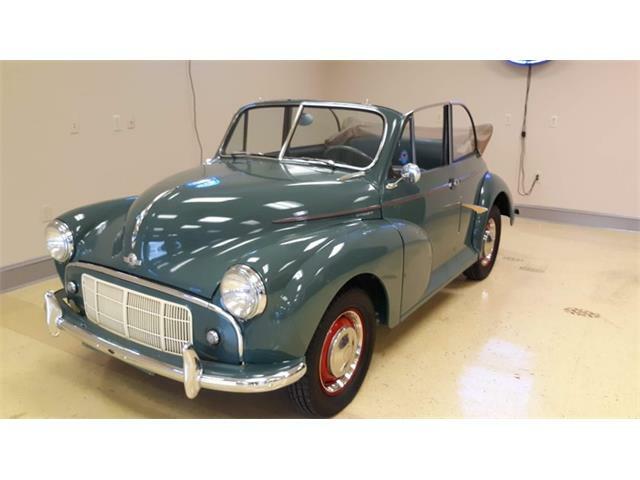 The seller also states that the A-type 948cc engine was rebuilt by the previous owner and has approximately 2,000 miles since the rebuild. 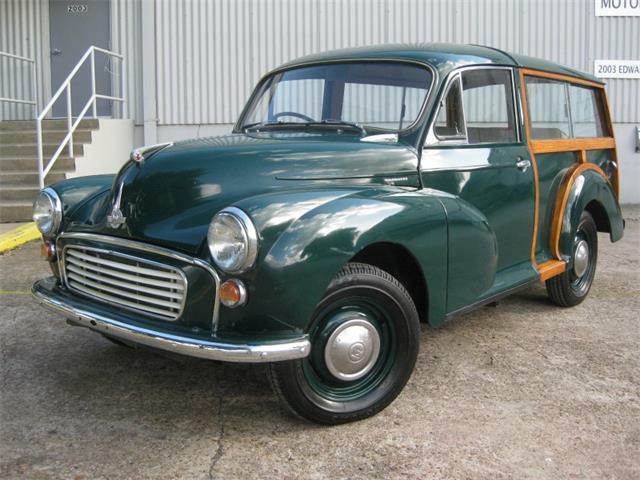 The Minor is well-sorted and drives, handles, shifts and functions great, the listing says. 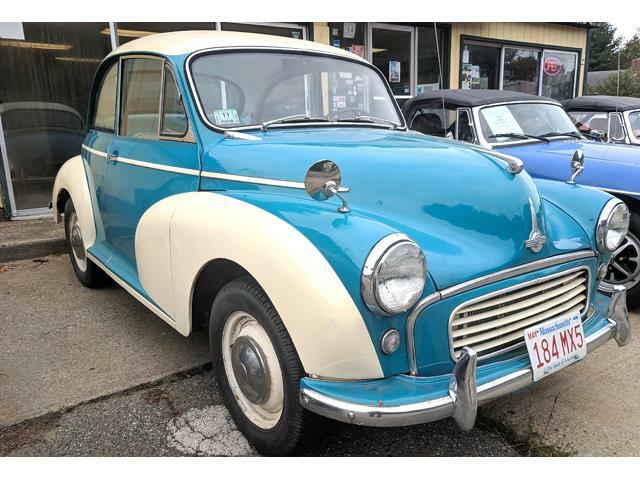 It also has a new wiring harness, new tires, brakes, starter, generator, rebuilt radiator, rebuilt transmission and a new clutch. 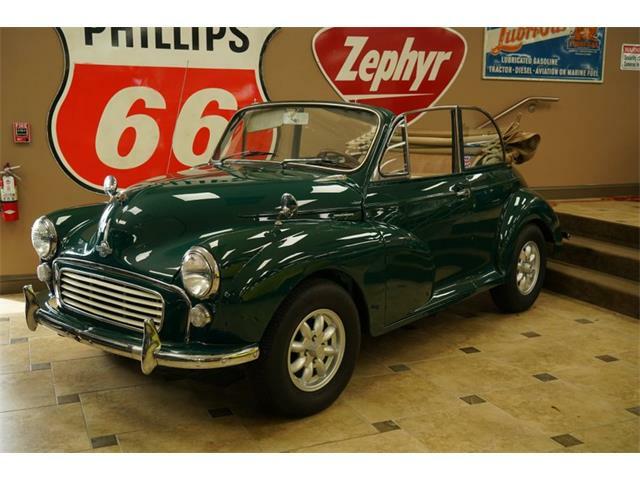 Cosmetically, the car has shiny new paint, fresh rubber trim and lots of new chrome, and a new Morris-correct interior. The seller includes 284 photos in the ad’s slideshow area including documentation of the restoration. 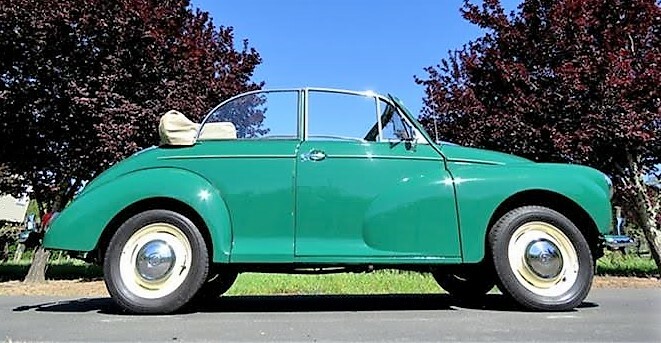 Finding a Minor Tourer in this nice a shape is quite difficult, and this example at an asking price of only $12,500 seems like a pretty solid deal. 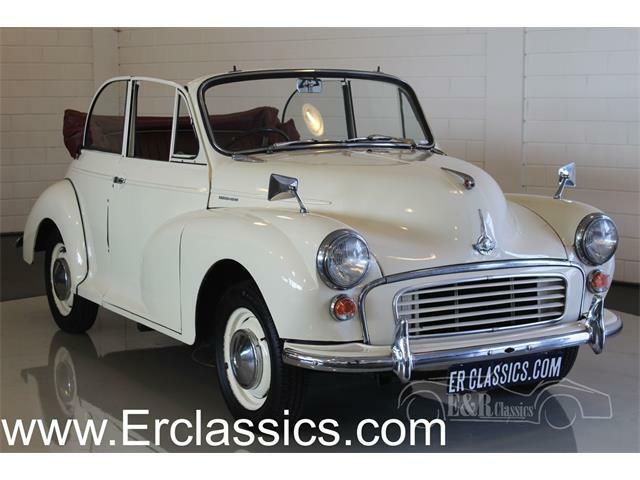 You would be hard-pressed to restore a Morris Minor convertible for twice this amount, and as always, it pays to buy the best example of a classic car that is available. This car looks to be one of those. 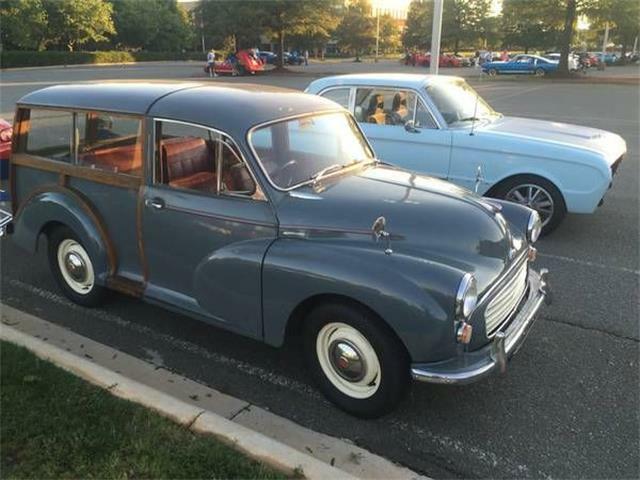 The Morris would be a fun car to drive to car shows and club events, on rallies, or across town to a local restaurant for dinner. 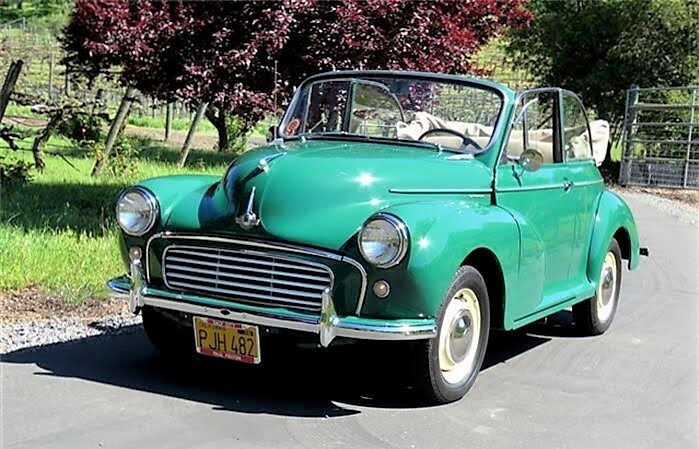 The people who drive past will smile and wave, and you will know that your classic British convertible cost less than their Honda Accords.